I shot a great story this past Friday for the Asbury Park Press about Father and son triathlon team Dave and Blake Ferrell, of Middletown, New Jersey. 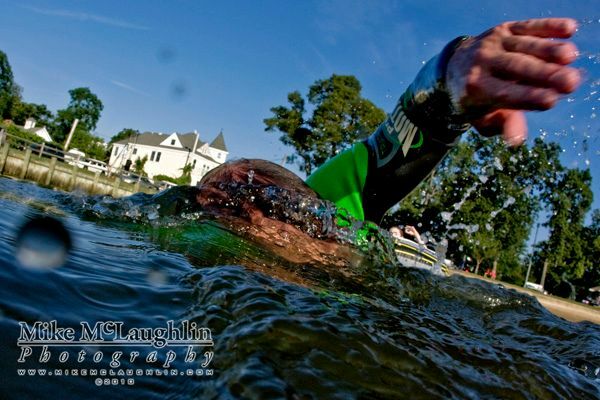 Ferrell swims, bikes and runs with Blake, who has special needs, competing in marathons and triathlons around the area. Dave pulls Blake in a boat while he swims, pushes his wheelchair during the run, and attaches a special hitch between his bike and Blake's chair, to ride together. 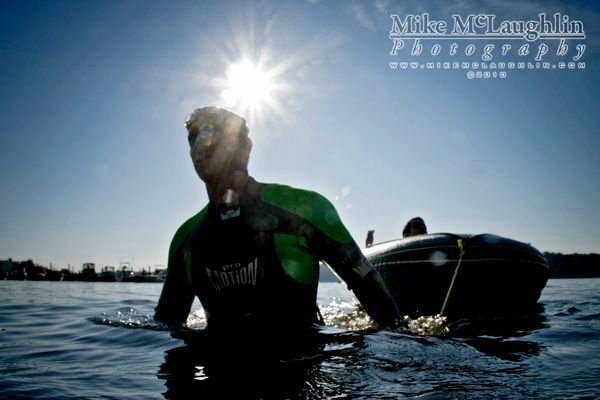 I had the opportunity and fortune to photograph them practicing with the Sandy Hookers club in the Navesink River off Rumson. For the full article, visit the Asbury Park Press. Dave and Blake Ferrell arrive early at Victory Park in Rumson. Dave has to get Blake's boat inflated and get Blake ready for the swim before the rest of their club members arrive. Dave puts sunscreen on Blake before going for their swim in the Navesink. 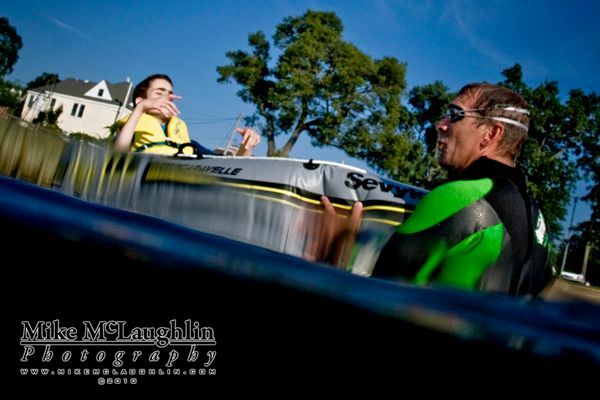 Dave and his son Luke, 7, launch Blake in his boat for their practice swim. 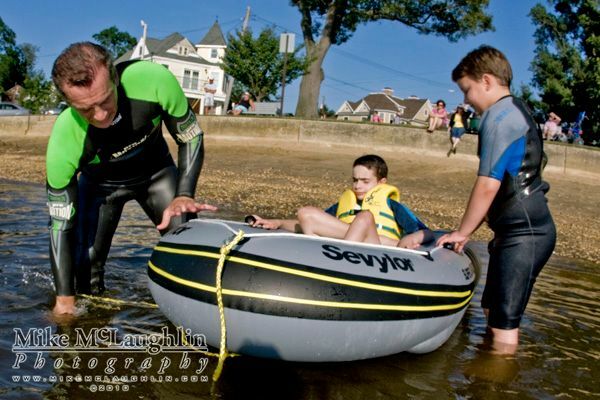 With Blake in his boat, Dave attaches a waist belt to tow the boat behind him for the swim. Dave and Blake take off for their practice swim. Dave pulls Blake in after their practice swim. Special thanks to Sean Brady for loaning me his water housing for this job!